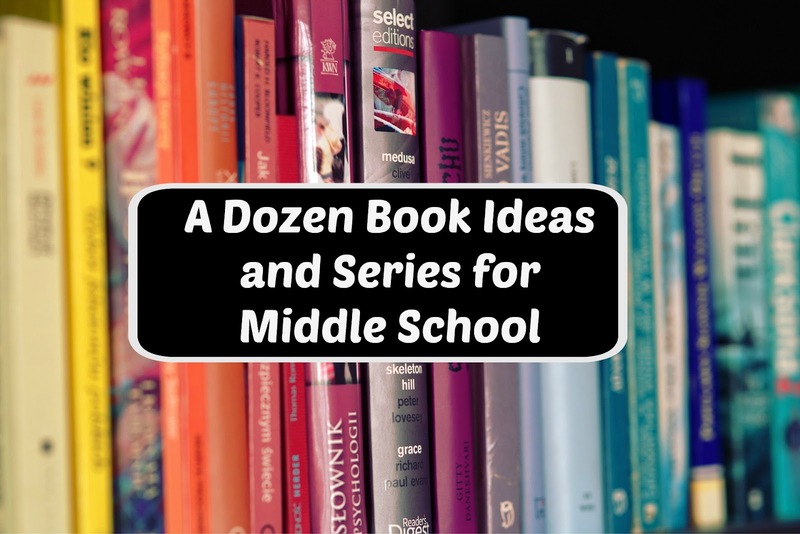 Last week I had linked up with a middle school link party and used a post I had written about our favorite books. The boys and I are always reading and listening to books together. My younger two have great reading comprehension so we can listen to stories that entertain Ian (my middle school son) as well. But the list was about books that we've all read and enjoyed together. I realized I have never taken the time to compile a list of books for just middle school; and for Ian in particular. Ian has always felt like he struggled with reading and has a hard time picking out books that he feels are both enjoyable, not too hard to read and understand, and are not "babyish." Over the past year we've stumbled upon some books and series that he really enjoys and a few that have really challenged him to grow as a reader. Some books we read together: he'll read a few pages then I'll take over for a few pages, some books he reads entirely on his own, and other books I'm still reading aloud to everyone. I FIRMLY believe that even in middle school kids NEED to be read to! Ian really loves watching movies and I discovered that reading a book after he has watched the movie (or after he has started watching a series of movies) has been a great motivation for him. We worked together to compile a list of books that he has either enjoyed reading this past year or would like to try and read in the upcoming year. 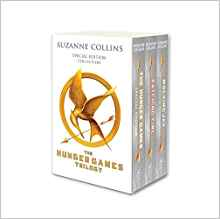 The Hunger Games series-- He LOVED these books and has watched the movies a bunch of times both before, during and after reading. 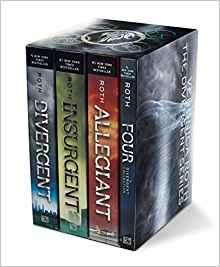 The Divergent Series-- Ian is only 3/4 of the way through book one and I was surprised when he took over and started reading them without me. We discovered this series after watching the first movie and since he just loved the movie I figured he'd enjoy the books too. 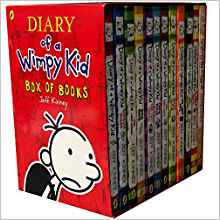 Diary of a Wimpy Kid-- I think this is one of those series that appeals to boys of all ages. They're funny, filled with lots of comics and yet they look like a substantial chapter book. He has read them all and anxiously awaits the release of any new ones. 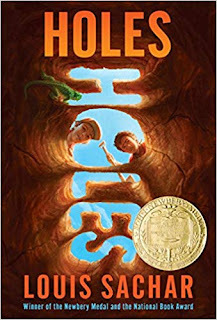 Holes-- Ian loves this movie and in talking about it one day I remarked that there was book called Holes and he seemed excited at the thought of checking it out. 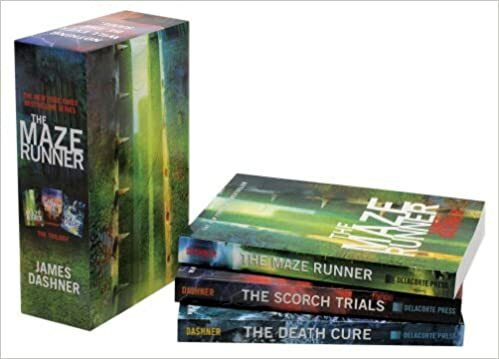 The Maze Runner Trilogy-- Ian has already watched the first few movies and is interested enough in the movies to want to try and read the books. The Ranger's Apprentice-- My husband has read this entire series and recommended it to Ian to try. 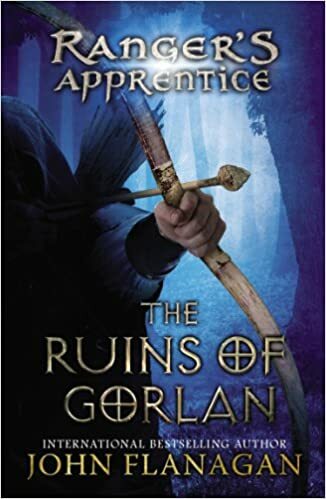 Set in Medieval times following a boy through an apprenticeship to become a king's ranger (sort of like a special forces unit). They are full of action and adventure. 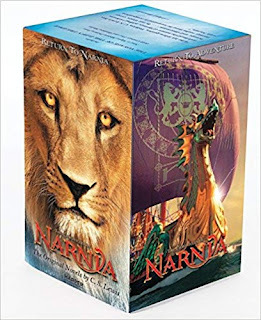 The Chronicles of Narnia-- This series of books about Narnia is something I've been wanting to read to/with the boys but we never seem to get around to it. I thought these books would be at an enjoyable level to Ian and we could cross compare them to the movies that were made by Disney. 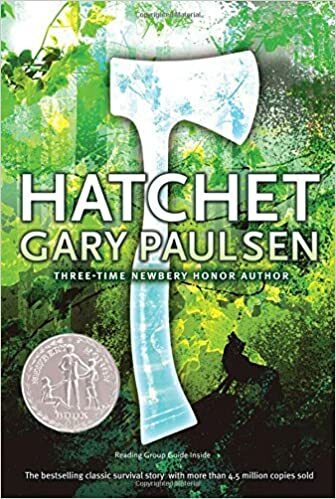 Hatchet-- A story of survival and bravery; I thought Ian would enjoy this. A boy who must survive in the wilds of Canada after a plane crash using only his hatchet and his windbreaker. 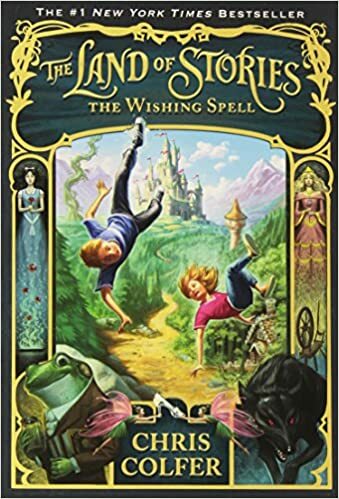 The Land of Stories-- We've really enjoyed the fractured fairy tales of The Hero's Guide series and hoped that these silly fairy tales would be funny and silly as well. We figured it was worth a try. Magnus Chase and the Gods of Asgard-- We've enjoyed all the other gods and goddess books by Rick Riordan (Percy Jackson, Heroes of Olympus and Kane Chronicles) and this new series seemed like something we needed to check out. 39 Clues-- Racing to find the 39 clues to the secret of the family's power, Amy and Dan must decide what's more important; clues or finding out what happened to their parents. 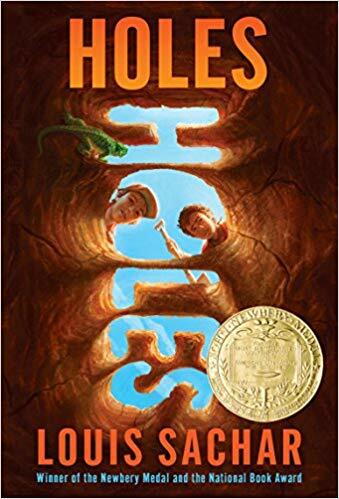 Filled with adventure and mystery these books are short enough not to be intimidating and hopefully will be action packed enough to encourage Ian to continue reading through the whole series. 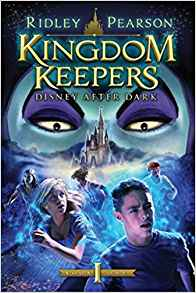 Kingdom Keepers-- Since we're such Disney fans, I thought Ian might get a kick out of this series that is set in the Magic Kingdom. I find it's always fun to read a book when you are really familiar with the setting and landmarks mentioned; perhaps Ian will think so too.